Acclaimed San Diego plastic surgeon Dr. Paul Chasan has first-hand experience with the ever- changing trends of cosmetic surgery, including the most notable: an increase in the number of people seeking surgical and minimally-invasive cosmetic treatments. According a report from WTOP.com, the American Society of Plastic Surgeons (ASPS), 2015 saw at least a two percent increase in the number of procedures performed in the U.S. While cutting-edge procedures, such as Kybella injections for double chins or body sculpting with thermal or cryo energy, are drawing in patients who may not have previously considered plastic surgery, traditional operations are by no means going out of favor. The ASPS report also found that tummy tucks are outpacing facelifts as one of today’s most popular procedures. However, more people than ever are choosing to undergo minilifts rather than traditional facelifts. With procedures such as the Petit Lift, treatment time is far shorter and patients are able to return to work within a week. Buttock augmentation was also the fastest growing cosmetic trend in 2015. Dr. Paul Chasan is a board-certified and nationally recognized plastic surgeon who specializes in performing the most advanced cosmetic procedures for the face, body, and breast. At Ranch and Coast Plastic Surgery in Del Mar, Dr. Chasan is also renowned for his exceptional work in revisionary rhinoplasty and revisionary breast surgery. 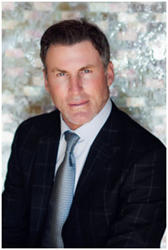 Regarded as an expert in his field, due to his extensive education and experience, Dr. Chasan has authored numerous publications and is often called upon by the media to discuss the latest techniques and trends in modern cosmetic surgery. For more information about Dr. Chasan and his state-of-the-art plastic surgery center, visit http://www.DrChasan.com.